Home » "Your Body, Your Move!" A Blog from Move Well Fitness, LLC. "Your Body, Your Move!" A Blog from Move Well Fitness, LLC. Exercises that un-hunch your shoulders are needed now-a-days! Whether you are typing away at your computer, tablets or cellphones, you are typically in a hunched over position. As a result, the society that you live in has caused damage to your body. Then, when you leave work or slow down a bit on your mobile device, you get in your car to continue with your bad posture. It’s no mystery that these body positions are damaging your spine and muscles that help your skeleton move. However, there is a something that can help your body and that is exercise. Since you have no intentions of putting down your mobile devices, exercise is the next best option right? Here are six exercise movements that I recommend to un-hunch your shoulders! Standing Posture in the Mirror: A lot of times, just being aware of your posture is half the battle. I recommend you take time to watch yourself in the mirror and fix what you see wrong. Floor Cobras: This is a great exercise to relax your chest muscles and strengthen the muscles in between your shoulder blades. Plus, it can be done anywhere with no equipment too! Opposite Arm/Leg Raises: A great exercise to strengthen the very deep back muscles that can become weak with hunched shoulders. Reach, Roll and lift: Designed to work your back muscles on each side one at a time. Most noteworthy, this exercise also increases your shoulder range of motion. 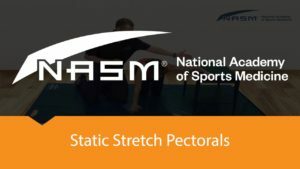 Static Chest Stretch. With hunched shoulders, they cause your chest muscles to work too much. Hence, this stretch allows your chest muscles to take a break. 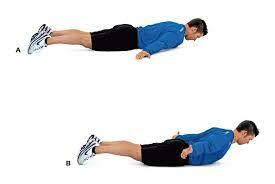 Quadruped Reach and Rotate: One of the best exercises to get your mid back to rotate as it should. Keep in mind, hunched shoulders can limit your mid back’s ability to rotate. Move Well Fitness, LLC. is a highly specialized, boutique style private studio based personal training company. We provide the absolute best fitness and nutrition programs exclusively in the areas of Palisades neighborhood of NW DC and the surrounding neighborhoods of Kent, FoxHall, Tenley, Bethesda & Chevy Chase. Our ideal clientele includes: busy professionals, stay at home moms and seniors who all have a desire to be in the best shape of their lives, but want to do it in an intimate, private personal training studio. We will provide the following for you: Accountability: We educate, support and guide you every step of the way. Professional: You can feel confident we will have all the credentials to keep you safe and have the knowledge to coach you to achieving your fitness goals. Convenient: We are right in the heart of the Palisades on MacArthur Blvd, next to Pro Feed Pet Store with ample off street parking. Private: We are focused on only you since there won't be any coworkers or other gym members interrupting or asking questions. Science: There's NO gimmicks - our system is based on strengthening your muscles (to get your metabolism revved up! ), cardiovascular exercise (to burn more calories!) and nutrition (to keep your metabolism stoked!). Efficiency: We know you're busy, we train you at your convenience, so you can continue with your day. Empowerment: We will share with you a foundation of knowledge that will allow you to maintain your results long after you've reached your initial goals. Guaranteed: We guarantee you will get the results you want, as quickly as possible, and with 100% certainty. Simply put, there is nothing or no one else who will do that for you. Track Record: We've helped 100's of DC Metro area residents, look great and feel like a million bucks. Follow our system and you will do the same! Results: You will burn more fat and inches off your body, reshape your shoulders, chest, arms, thighs, hips, and waist than ever before.